Nellaiappar Temple - The Nellaiappar Temple is one of the oldest standing and most famous Hindu temples in India. 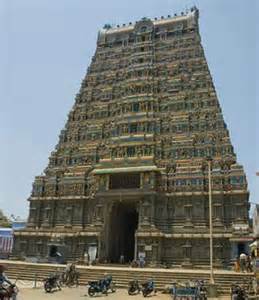 Dedicated to the god Shiva, it is located in the city of Tirunelveli in the state of Tamil Nadu. Dating back to about 700 A.D., it is perhaps the best example of the unique Dravidian architecture known as kovils (which means "King's House" in Tamil). One of its most interesting characteristics is the famed musical pillars inside, which produce sound in various pitches when struck.